There are some singers that are blessed with both a unique voice and great compositions. 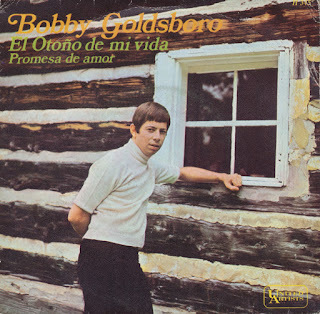 I haven't heard much from Bobby Goldsboro during my life, but what I've heard has impressed me. His song Honey is an evergreen, of course, and Summer (The first time) always touches anyone who has a heart. The autumn of my life is a similar work of art. I found this single during a few days in Barcelona. Whenever I go to a different city I check out the local record shops, and fortunately the second one I visited delivered some goodies. 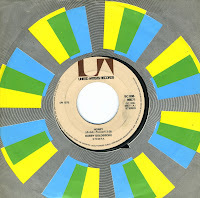 This was the only single I didn't know at all, but I was not disappointed: Bobby Goldsboro is a gifted man. 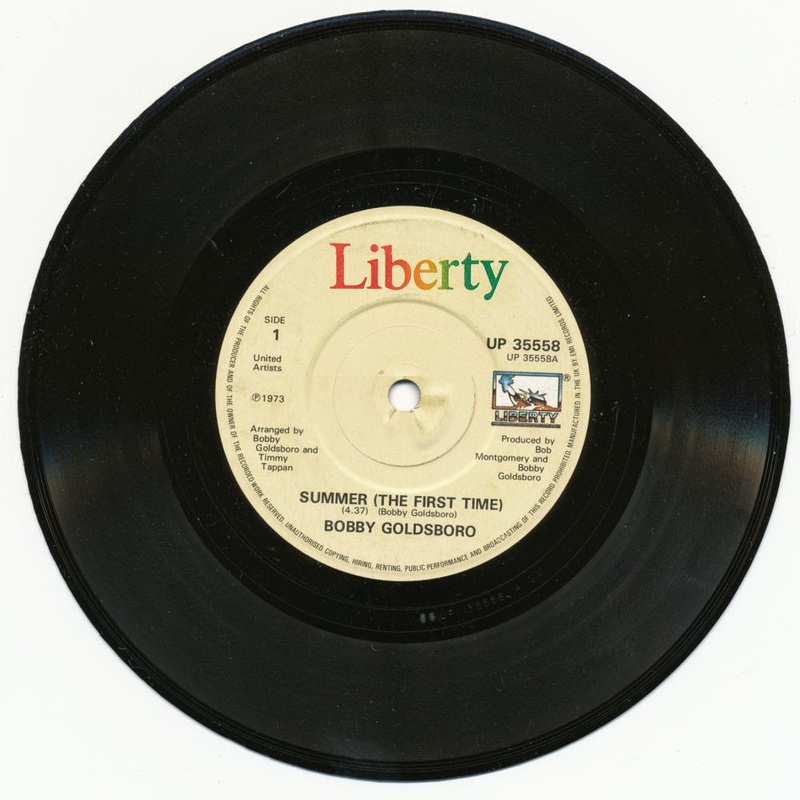 The singles Honey and Summer (The first time) were reason enough to become curious about Bobby Goldsboro's further output, but his singles are pretty hard to find. When I came across this one, I simply thought it was a good way to hear more from the man. 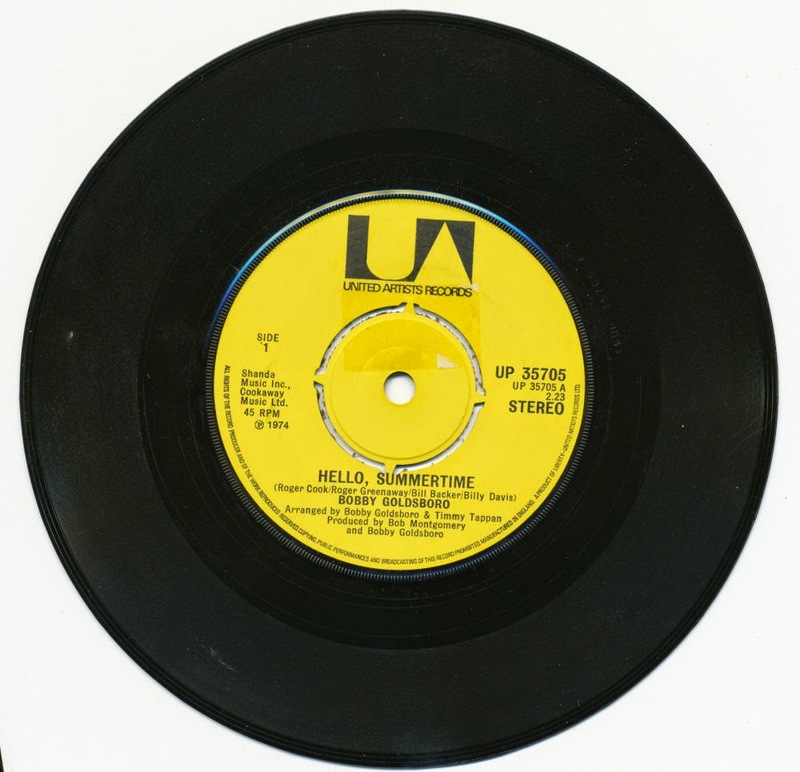 'Hello summertime' lacks the melancholy atmosphere of the two titles mentioned above, but does offer a rather upbeat melody and carefree lyrics instead. The B-side is even better, because on there, the melancholy feeling is back... just slightly. Bobby Goldsboro was born in Marianna, Florida. In 1941, Goldsboro's family moved 35 miles north from Marianna to Dothan, Alabama. He graduated from Dothan High School in 1959 and later enrolled at Auburn University. Goldsboro left college after his second year to pursue a musical career. He played guitar for Roy Orbison from 1962 to 1964, then started a solo career. 'Summer (The first time)', a reminiscence about a 17-year-old boy's first sexual experience with a 31-year-old woman, was a Top 20 hit in the U.S. and reached number 9 in the UK singles chart. Using a repeating piano riff, 12-string guitar, and an orchestral string arrangement, the song was suggestive enough to spark some controversy at the time. Bobby Goldsboro was born on January 18, 1941 in Marianna, Florida. He left university in 1961 to pursue a music career. He played guitar with Roy Orbison between 1962 and 1964, while releasing a few unsuccessful solo singles. In 1964, he had his first hit with 'See the funny little clown', after which his solo career took off. The biggest hit of his career was 'Honey', released in 1968. The song is an unmitigated tearjerker, in which the protagonist mourns the death of his young wife. The single reached number 1 in the US Billboard Hot 100 chart, number 6 in the Dutch Top 40 and number 2 in the UK singles chart. The single was re-released in 1975, and on this occasion it reached number 2 in the UK singles chart once more. The song is quite controversial among music lovers, as it has appeared on 'worst songs of all times' lists frequently. Personally I think this track is very beautiful.